During the recent July meeting, Pete and I led a discussion on Octoberfest/Marzen and Vienna Lager beers to prepare brewers for the September Oktoberfest meeting, which will feature a club-only competition for these styles. We talked about traditional and modern techniques for lager brewing as well as parameters for these particular styles and how to meet them. We also made sure we were familiar with the beers we were discussing by sampling a couple: Great Lakes Dortmunder Gold–close to a modern German Oktoberfest–and Negra Modelo. These two beers represent the extremes of the three styles, which are all very similar to begin with. The first thing I want to re-cap is the difference between modern and traditional techniques for lager brewing. Unlike most ales, lagers are designed to be crisp, clean beers and have little room for error. In the past, temperature control was difficult and filtering was non-existent. Lagering consisted of putting beers in a cave that was likely near freezing and leaving them for many months. This gave the yeast–which unlike ale yeast survives well in cold temperatures–plenty of time to clean-up the mess they left during fermentation and to settle out. Today, with glycol coolant systems and many different, sophisticated filters, lagers are not the challenge they once were. That is, all commercial beers, ale and lager, ideally are controlled precisely during fermentation and cellaring. However, without professional equipment and time available to homebrewers, lagers still require more attention than ales and present unique challenges. We’ll get to that in a bit. Today, lagers can be brewed much more quickly than in the past because of a brewers ability to control the diacetyl rest. With precise controls, a brewer can coerce lager yeast to absorb its byproducts more rapidly and can then filter out the remaining yeast. At best, this process will only take 6 weeks, which isn’t too bad. It could take longer though depending on the size and strain of the yeast pitch, its tendency to flocculate (clump up and fall out of solution), and your ability to quickly bring the beer to these temperatures. If you are fortunate enough to have space for and own a fermentation fridge or freezer, hitting target temps shouldn’t be too hard. In the city, with limited space, I think this is the exception to the rule that most people follow: I ferment my beer at whatever temperature my apartment is currently. That doesn’t have to be the case though. I learned from DCHB member Brian Barrows how to (fairly) easily control fermentation temperatures to within one or two degrees Fahrenheit. Pick-up a picnic cooler large enough to hold your fermentation bucket or carboy. I measured a few and the tall buckets fit easiest. When you’re preparing to brew, fill the cooler halfway with water and add an ice pack. I use take-out containers filled with water and frozen. It will take some trial and error to figure out how much you need to get the water to your pitching temperature. If you can figure out all the variables, and are comfortable using this formula: q = mcΔT, great! Otherwise, do a dry run with water to figure out how much ice/warm water you need to add to change the temperature of the beer. In the summer, I would have several spare ice packs handy. “For homebrewing, another option besides ice packs is a swamp cooler. Put the carboy in a bucket with a few inches of water. Put a wet T-shirt over the carboy, letting the bottom soak in the water, and then position a fan blowing on the T-shirt. As water evaporates from the T-shirt, it cools the wort, and draws more water from the bottom. It can get a little moldy, but a little PBW or OxyClean in the water can prevent that. Top up the water as needed. I’ve been able to maintain ferm temps in the high 50s to low 60s this way, which generally is low enough to prevent off-flavors from the yeast. Category 3 of BJCP Style Guide lists the metrics for brewing Vienna Lager and Oktoberfest. BJCP doesn’t list Marzen as a unique style, but if you’re dead-set on making one instead of an Oktoberfest, check out the Brewers Association Style Guide. 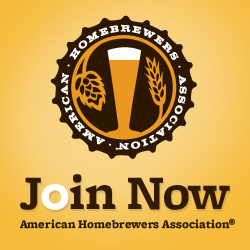 If you want to submit a post or have ideas for a topic of discussion for a meeting, please e-mail Education@DCHomebrewers.com.